Cape Town - Deputy President Cyril Ramaphosa will lead a high-level delegation to London on Sunday, September 24, 2017 for the presentation to the World Rugby Council of South Africa’s bid to host the prestigious Rugby World Cup 2023 tournament. 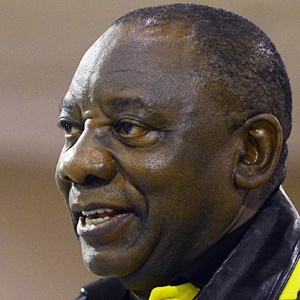 Deputy President Ramaphosa will be supported by Sport and Recreation Minister Thulas Nxesi and Deputy Minister Gert Oosthuizen. The South African presentation will take place at the Royal Garden Hotel, Kensington, London, on Monday, September 25. President Jacob Zuma requested Deputy President Ramaphosa to lead Team South Africa, in view of the fact that the President is leading the South African delegation to the 72nd Session of the United Nations General Assembly (UNGA) in New York. UNGA has been scheduled from September 19-25, 2017. The high-powered delegation will include SA Rugby president, Mark Alexander, and CEO, Jurie Roux, in laying out South Africa’s technically and commercially compelling case to host the tournament 28 years after late President Nelson Mandela handed the Webb Elis Cup to Francois Pienaar at a packed Ellis Park in Johannesburg. In a media statement, the Government said Deputy President Ramaphosa’s participation in this visit “demonstrated the government’s support for and commitment to the effort to return the tournament to the African continent in the 21st century”. This commitment was demonstrated by the fact that the South African government had, as the lead partner in the bid process, signed off on all the requirements stipulated by the World Rugby Council, satisfying more than the required minimum guarantee in the process, said the statement. “We are deeply honoured and privileged to have such high-powered and visible support from our government to lead our bid presentation,” said Alexander. “The suggestion in some quarters appears to be that our government is lukewarm about our bid. I hope this delegation and the presentation we make on Monday will once and for all give the lie to that idea. “The South African government is the lead partner in this bid and has signed off on every one of World Rugby’s requirements; going above and beyond the required minimum guarantee. Deputy President Ramaphosa congratulated Team South Africa on its preparations to date for the presentation of the bid and has called on all South Africans to show their support for Team South Africa as the delegation enters the final stages of securing the Rugby World Cup 2023. The World Rugby will announce the host of the 2023 Rugby World Cup on November 15, 2017.